Apple Watch wants to be more than a smartwatch. Right now it is a niche gadget but has plans to evolve slowly into a medical device. The latest model called the Series 4, will feature heart readings, which is more in-depth than a heart-rate sensor and will be able to detect falls. These features are something that smartphones are capable of already. Apple’s strategy is to give the Apple Watch features that are health and fitness-focused so that people have a clear-cut reason to buy one. 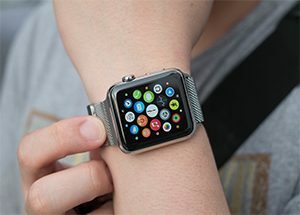 Smartwatches are expected to sell 48 million units this year worldwide, which is up from roughly 18 million in 2017. Apple stated that its goal is for the Apple Watch to be the “ultimate device for a healthy life.” The U.S. Food and Drug Administration gave clearance to allow the watch to take electrocardiograms (EKGs), which is an important heart health test that usually requires a doctor visit. Ivor Benjamin, a cardiologist that heads the American Heart Association, gave an endorsement for the feature saying that it would “change the way doctors work.” Additionally, the watch will share heart data with doctors through a PDF file. The fall-detection feature could also be significant. The watch will be able to tell whether the wearer tripped or fell. If the Apple Watch wearer falls, it will suggest calling 911. If there is no response within one minute, the watch will automatically make the emergency call, and alert family and friends. Data collected has the potential to save peoples’ lives and change the medical industry. One ability that the Apple Watch is missing is sleep quality analysis.